American Hydro’s flat robot has been time tested and proven to be an industry leader in efficient concrete hydrodemolition. 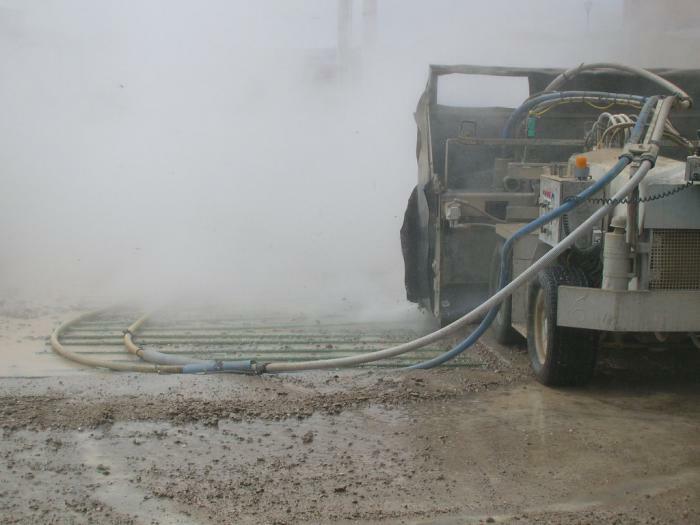 Capable of handling up to two nozzles continuously, the American Hydro flat robot is the industry’s fastest and most powerful hydrodemolition tool available. The flat robot is the ideal tool for parking structures, bridge decks, spillway floors, piers and similar applications. With varying speeds, cut depth, and cut geometry, the American Hydro flat robot is the perfect tool for your hydrodemolition project.